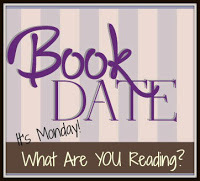 Book By Book: It's Monday 1/22! What Are You Reading? Busy week last week - lots of catch-up, writing, two book group meetings(! ), plus the usual errands and other household stuff. I'm still not even close to caught up - I can't seem to get down to less than 200 unread e-mails! I just finished Circling the Sun by Paula McLain - I enjoyed it very much, more than I expected to. It's a novelization of the real-life story of Beryl Markham, a female horse trainer and pilot. It begins with her childhood in Kenya in the early 1900's with her father, up through her record-breaking trans-Atlantic flight in 1936. I was captivated by her story. I finished a middle-grade graphic novel on the side, Cici's Journal: The Adventures of a Writer-in-Training by Joris Chamblain and illustrator Aurelie Neyret. Cici is a budding journalist who investigates mysteries in her neighborhood. It was warm and fun and all about friendship. I just started reading The Martian Chronicles by Ray Bradbury. In high school, I read every Bradbury book in my public library, so I am very excited to be revisiting one of his classics. It's wonderful already! Just this morning, I finished listening to Perfect Little World by Kevin Wilson, an adult novel on audio. It's about a 19-year old girl who is pregnant and joins a strange sort of Utopia experiment, where a group of parents and babies all live together and bring up their children together, with the kids not knowing who their parents are until age 5. Yeah, it sounds a little weird, but I really enjoyed it - it was interesting, unique, and engaging. Now I need to choose my next audio! Our son, Jamie, 23, is reading a favorite fantasy series, The Malazan Book of the Fallen by Steven Erikson. He is currently reading book 3, Memories of Ice. He enjoyed books 1 and 2 a while back and says he has books 4, 5, and 6 waiting at his apartment, thanks to his favorite local used bookstore. This one is over 900 pages, so it could take him a while! Movie Monday: Favorite Movies Watched in 2017 - what were your faves last year? Summary of Books I Read in December - pretty good reading for a busy holiday month! I really liked Circling the Sun a lot! Glad you did too. Email ... sigh. Yes...sigh...a necessary evil, I guess! We should be reading more books and fewer emails! One of my son's all-time favorites!! And I am REALLY enjoying revisiting V=Bradbury - he's very clever. Imagine not letting your child know only at five they belong to you. I wonder how that would work out! Nice that you enjoyed the book. Don't get too busy! I hope you enjoy all your books. Have a good week. I am still doing the non-fiction thing. I just read How Dare the Sun Rise by Sandra Uwiringiyimana, which I really liked. I've heard good things about that one, Helen - glad you enjoyed it. I don't know any of these books! Well, I know the Bradbury book, but I haven't read it. I don't love Bradbury, but maybe I need to read more of him! I barely remember most of Brandbury's books - only that I LOVED them in high school!! It's fun revisiting this one. Perfect Little World sounds interesting. As someone who lives in an extended family situation (my son and his wife have their own space in the basement but we eat together), we have come to see that it is positive for everyone. We love having our grand baby so close! How wonderful for you, Cheriee! Glad to hear it is working out so well.